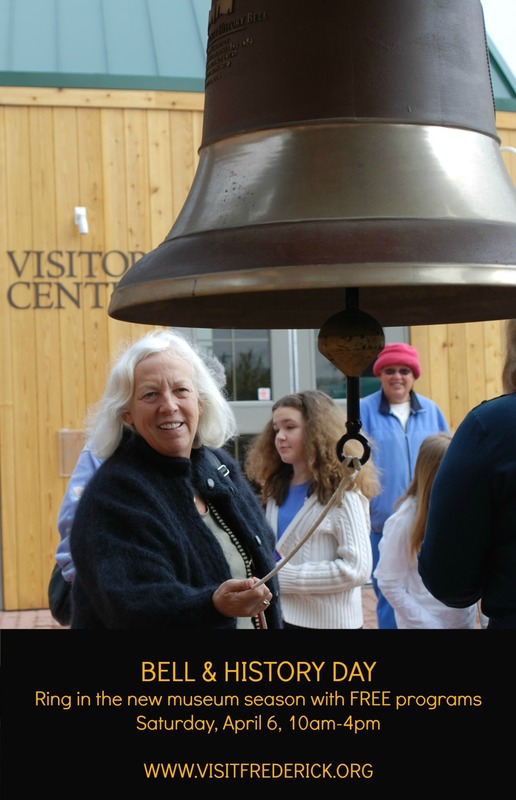 Frederick, MD - Saturday, April 6, 2013 is Frederick County Bell & History Day, which marks the opening of museum season. Across the county, participating museums and historic sites offer complimentary entry along with special events, activities, and living history programs. Bell & History Day activities run from 10 a.m. - 4 p.m.
Visit many locations, or just a few, in any order. Enjoy period demonstrations, living history vignettes, hands-on crafts, refreshments, tours, music, and various bell-themed activities. Ringing of the Frederick County History Bell, 151 S. East Street, Frederick: Ring the Frederick County History Bell! Everyone present is invited to ring the bell, starting at 10 a.m. Afterwards, stay to see the exhibits and see the visitor orientation film. Bells of Remembrance are memorials to the victims of the terrorist attacks of September 11, 2001, and this year they also serve to as a reminder of the 150th anniversary of the Battle of Gettysburg. Bells will be strategically place at two locations in Emmitsburg, which is bounded by the Mason-Dixon Line, just south of Gettysburg. These trailer-mounted bells are large, historic instruments that visit parades, festivals, and memorial events, including past appearances at ground-zero in New York, the Pentagon and Shankesville, Pennsylvania. Visitors are encouraged to ring these bells! The Passport to History program encourages event-goers to collect passport stamps at each location visited. Participants receive a souvenir bell and a chance for a grand prize. 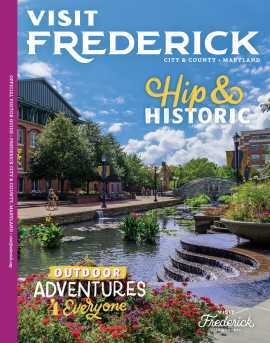 Passports will be available in early March at the Frederick Visitor Center, 151 S. East Street in Frederick. 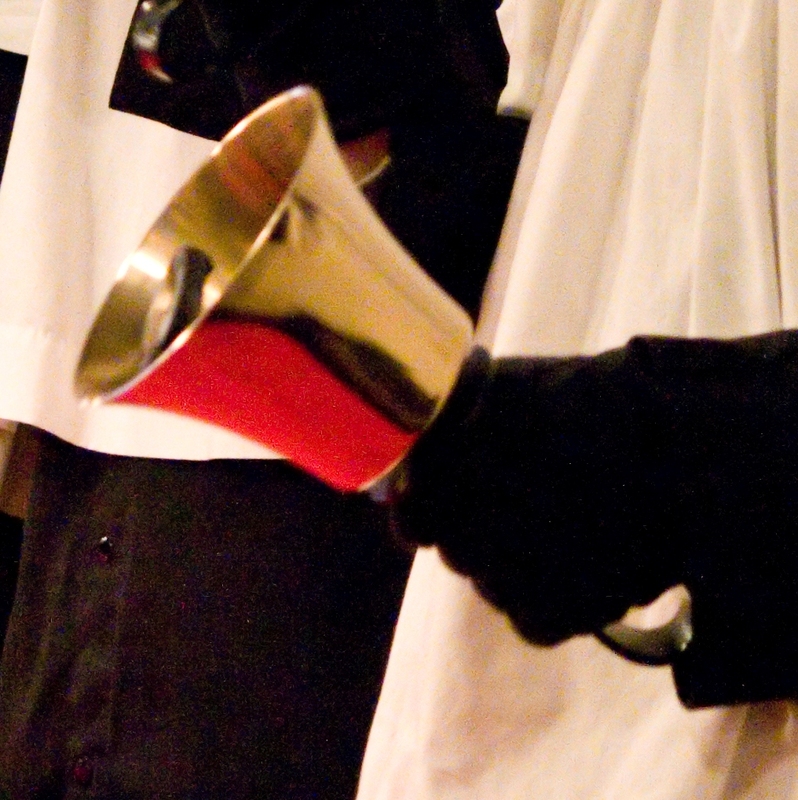 Hundreds of bells and chimes will open the new museum season in Frederick County during the Bell & History Handbell Festival on Sunday, April 7 at the Basilica of the National Shrine of Saint Elizabeth Ann Seton in Emmitsburg, Maryland. The 5:30 p.m. concert will include five bell ensembles playing solo selections and performances, including all of the amassed handbell choirs. There is no charge, no reservations are necessary, and the public is invited. The concert will last about an hour. Bell and History Day is made possible by presenting sponsor, Frederick County Bank, with additional support from an anonymous sponsor, the Frederick Keys, and the Tourism Council of Frederick County. It is presented by the Frederick Historic Sites Consortium, a program of the Tourism Council of Frederick County. Bell and History Days is hosted by the Frederick Historic Sites Consortium and Tourism Council of Frederick County. Detailed program information, participating sites, and activities can be found on the Bell & History page.